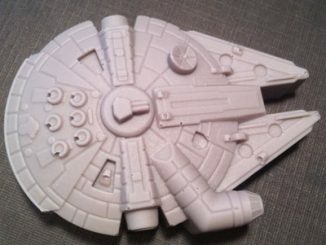 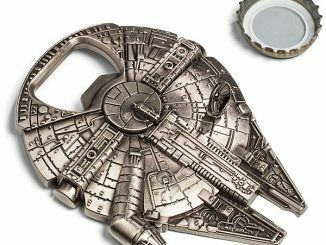 If you really want to impress all your Star Wars buddies, show off this Remote controlled Star Wars Millennium Falcon. 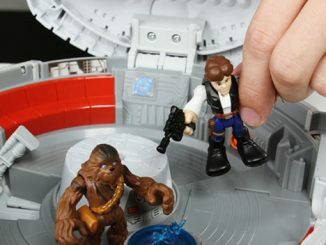 With flight times up 5 minutes and quick 20 minute recharges, you can create new adventures for Han Solo, Chewbacca and the Millennium Falcon as often as you like. 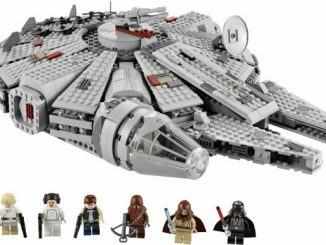 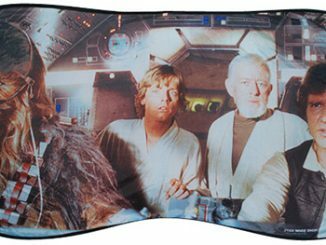 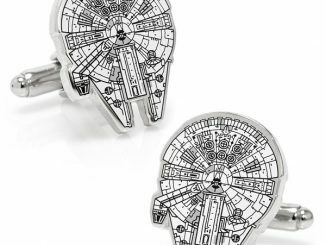 The Millennium Falcon has a 30′ range and can hover forwards, backwards and sideways. 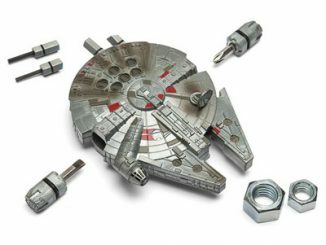 Let this Millennium Falcon attack your LEGO Death Star. 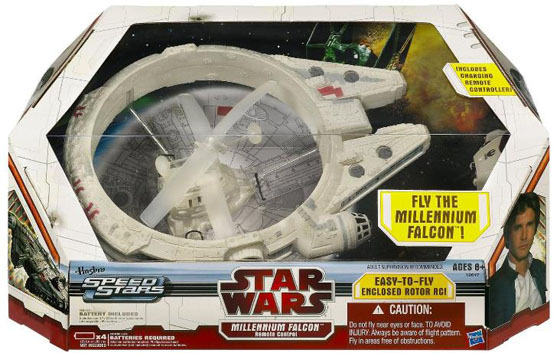 Spanning almost a foot from stem to stern, this is the only remote controlled Millennium Falcon from the classic Star Wars series. 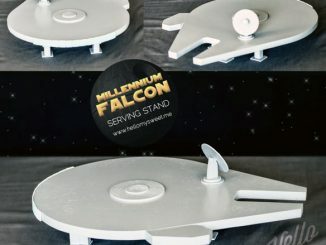 Two counter-rotating rotors built into the hull provide vertical movement that evokes the nimble hovering of the iconic spaceship as it prepared for interstellar flights, operating like a helicopter. 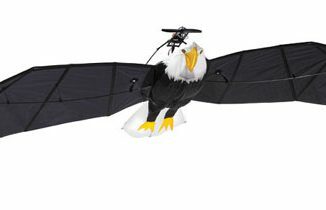 Trim controls on the remote enables precise rotor tuning for stable, level flights. 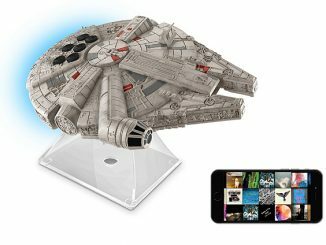 You can purchase the Remote Controlled Star Wars Millennium Falcon at Hammacher.com for $59.95 and at Amazon.com from $33.99. 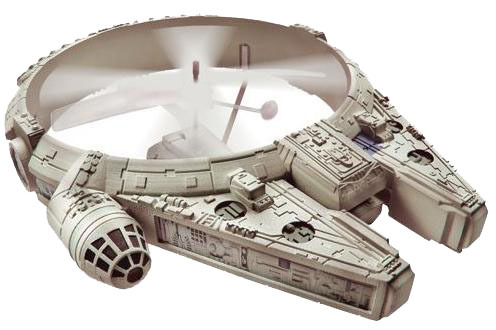 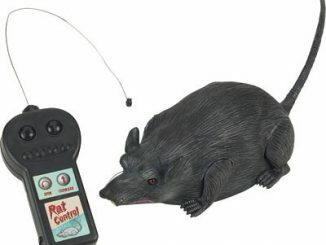 For other cool radio controlled action, checkout the Air Swimmers Shark RC Blimp and Silverlit Remote Heli Blaster.